LOCAL sports clubs will have to find somewhere else to play after pitches adjacent to St Paul's College in Raheny moved closer to being sold for development. The Vincentians, who own St Paul's and the land around it, have agreed to sell part of the sports grounds on the property for housing. Terms of the deal have not been revealed but it is believed Greg Kavanagh's New Generation Homes will take the 15-acre site in a deal worth more than €25m. While the sale will free up space for badly-needed houses, a number of local sports teams use the pitches, and their contracts may not be renewed after they expire in August. Clontarf GAA teams use the pitches to train and play underage matches on, while Belgrove Football Club also uses the space. A number of teams also play on an astroturf pitch on-site as well. The plan has already caused disquiet among local residents who have contacted a number of councillors and TDs. In a statement, the Vincentians said part of the proceeds from the sale will be put to improving the school. "After much consideration, the Vincentians have decided to sell roughly half of the overall site which surrounds the Provincial Office and St Paul's School, Raheny. A contract has already been signed. "We Vincentians no longer have the resources to manage such a large site and must plan for the changing circumstances within our community. "As an outcome of the sale the Vincentians will be investing over €7m in upgrading the school and its grounds. We will be providing the capital to build a multi-purpose sports hall, the renewal of the astro pitches and providing the site and the funds to build a new 3G multi-purpose flood-lit pitch. "These improved facilities are being provided for school and community use. The remainder of the €7m funds will be placed in a trust for the future needs of the school," the Vincentians added. The sale will spark comparisons to the Celtic Tiger years, when developers fought to buy pitches and fields around Dublin for development. The deal is a coup for Mr Kavanagh, who apparently saw off two other bidders for the site, which originally had been expected to fetch €20m. The 29-year-old, who famously described himself as the "Ronaldo of the property market", has been one of the main developers to emerge in recent months. 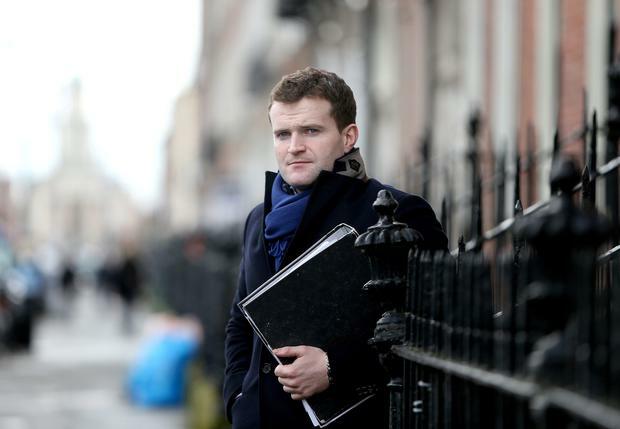 The Arklow native is reported to have spent more than €100m buying up sites around the country. New Generation Homes has bought land including at Carrickmines, Belmont in Stepaside, two sites in Knocklyon and a large site in Sutton.